Technology is always advancing. In fact, you might be amazed at the advances since you last purchased office equipment. As you consider new office equipment, here are a few pieces of helpful information. For years our clients have asked us for an affordable office copier that makes color copies. Well, that day has arrived. New color multifunction systems allow you to print, copy, and even scan in black & white or full color—you choose! The quality of color from these systems is amazing. Plus, they print color at similar speeds to black and white, so you won’t be waiting long for your prints. 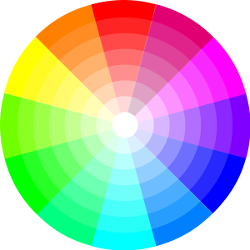 Color copiers are typically more affordable to operate than color printers. You might be surprised to learn that prints on a color ink jet can cost up to 5 times more per page than printing on a color copier. Email Addresses as an Attachment. PC or Network Folder Locations. Files are scanned in common formats like Adobe Acrobat PDF’s, TIFF or JPEG. This means the files can be read on virtually any computer. For high-volume scanning locations, Sharp’s Scan-2 technology allows you to scan both sides of a document at the same time. Security is an important factor to consider when you are selecting office equipment. Often, considerable attention is given to computer networks and email. However, one of the biggest security risks a company may have can be its printer and copier fleet. Without a monitoring system in place, sensitive business information can easily be copied or printed and taken off site. Several years ago, Sharp embarked on a journey to create the most secure copiers and multifunction systems on the market. Sharp’s security suite is a comprehensive approach to secure the usage, output, and hard drives of multifunction systems. This approach is working. In fact, Sharp is recognized by the international IT community as a Common Criteria Validated Solution. Choosing office equipment is an important decision. Every office has unique needs. That’s why we are happy to meet with you to listen to your needs and recommend the right system for your applications. Contact us today to arrange an appointment.